Remember rumors Kristen Stewart was dramatically unlinked from potential the SWATH franchise following the Rupert Sanders affair? And rumors that Chris Hemsworth was gonna get a Hunstman spinoff? And rumors that Rupert might direct a sequel on his wife’s strict orders that he never worked with Kristen again? Ok well back up everyone, back up. You’d need a magic mirror to see that one coming. Kristen Stewart has issued a public apology for hurting her boyfriend of three years Robert Pattinson by having a fling with her married Snow White and the Huntsman director. The 41-year-old Sanders, who is 19 years older than Stewart, is married to actress/model Liberty Ross and they have two young children. Ross appeared as a young Stewart’s mother in Huntsman. “My beautiful wife and heavenly children are all I have in this world. I love them with all my heart. I am praying that we can get through this together,” he added. Stewart and Pattinson met while filiming the first installment of Twilight and rumors about them being an off-screen couple began almost immediately. The pair denied being in a relationship at first but have become increasingly open about it recently. Snow White and the Huntsman, starring Kristen Stewart, Chris Hemsworth, Charlize Theron, Sam Claflin and Ian McShane, opens in theaters Friday, June 1. The classic story is retold with Snow White on a mission to destroy the Evil Queen. Snow White is mentored and protected by the Huntsman originally sent to kill her. Our friends at Fandango, the nation’s leading moviegoer destination, today revealed the results of its “Most Anticipated Summer Movie Survey,” in which Marvel’s “The Avengers” grabbed the top spot among all films picked by both men and women. The poll – which surveyed thousands of moviegoers on their must-see list for the biggest movie season of the year – also revealed that this may be a huge summer for Australian newcomer Chris Hemsworth, who stars in two of the summer’s most anticipated releases. Male and female moviegoers offer a decidedly different perspective on the can’t-miss films of the summer. 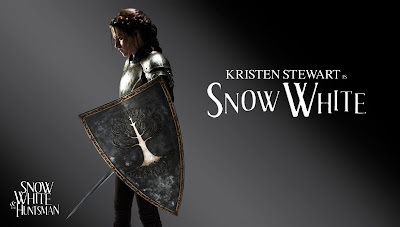 While women gravitated to the revisionist Kristen Stewart fairy tale drama, “Snow White and the Huntsman,” men stuck to their guns with action adventures — like “The Avengers” and “The Dark Knight Rises,” which ranked number one and two on the most anticipated summer movie list. Kristen Stewart is back in England filming Snow White and the Huntsman after a short trip to the US for the Twilight hand and footprint ceremony. KStew was spotted this morning in Surrey, England in between takes on the film set. In the epic action-adventure Snow White and the Huntsman, Kristen Stewart (Twilight) plays the only person in the land fairer than the evil queen (Oscar® winner Charlize Theron) who is out to destroy her. But what the wicked ruler never imagined is that the one young woman threatening her reign has been training in the art of war with a huntsman (Chris Hemsworth, Thor) who was dispatched to kill her. Sam Claflin (Pirates of the Caribbean: On Stranger Tides) joins the cast as the prince long enchanted by Snow White’s beauty and power. 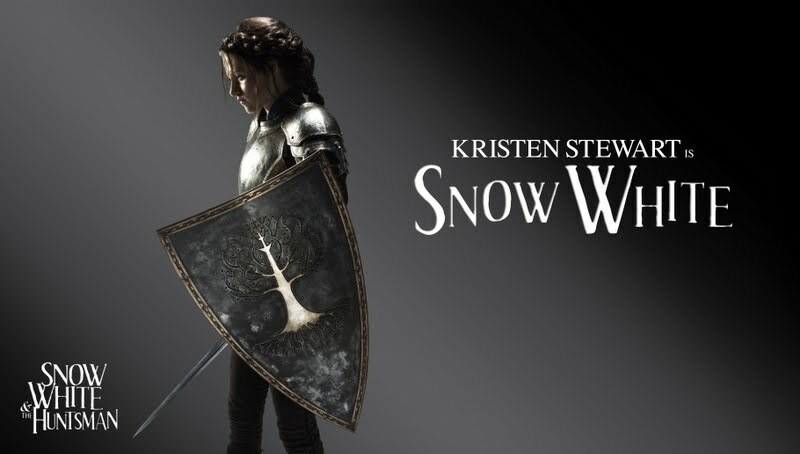 Snow White and the Huntsman opens in theaters Summer 2012.